Do you own your workplace but don’t feel that it really meets the needs of your employees anymore? Do you lease out office space and want to give it a makeover to attract great new tenants? If the answer to either of these questions is yes, it’s worth looking into the latest trends in commercial office fitouts and partitions – this will help you create the workplace of your dreams! We have seen the square meterage of individual workstations being slashed dramatically – in some cases, to less than half the traditional size! A big factor in this trend is the advancement of activity based working, as our computers and laptops take up far less space than their bulky predecessors. Desktop phones are also becoming a thing of the past, freeing up more space. Our workplaces are also becoming more open with partitions either being left out completely or their height being lowered considerably. The reason for this is to encourage staff productivity by producing a culture of freedom in the office. Quiet spaces are then designed within to minimise space and produce a spacious floor template. Noise is always a big question in an open space environment. This can be reduced dramatically with sound absorbing materials such as fabrics and acoustic wall and ceiling tiles. Your interior design can assist you with this selection to ensure you get the maximum out of your fitout. The inclusion of soft seating in the open spaces like team areas is the most important for an open plan space. 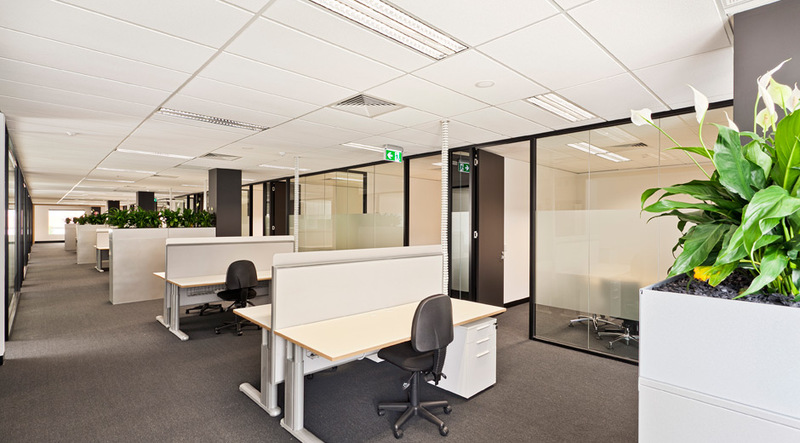 The level of staff integration in today’s environment is paramount and must be catered in your commercial office fitout. We work in an ever-changing world – businesses are growing and downsizing at far different rates, and there is also the possibility for some of us to work from home. It is important that our workplaces are equipped for these changes, as it will help to avoid “future shock”. Although each of the above trends have been increasing in popularity over the last few months, it is important to keep in mind that they won’t suit every workplace or business. It is important that you consider what your business does, your employee’s own needs and the office space you have available in order to determine which of these trends you should incorporate.